Operating a small business with small budgets doesn’t necessarily equate to settling for small tech. Small to mid-size businesses (SMBs) are learning they can also step into the 21st Century as easily as the larger brands — taking advantage of some of the same current technological advancements. 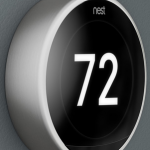 Google’s Nest is further advanced than many of the other programmable thermostats in the market. With enhanced A.I. (artificial intelligence), it actually learns what temperatures we like and when we like them. It works with 95% of 24V heating and cooling systems, including gas, electric, forced air, heat pump, radiant, oil, hot water, solar and geothermal. With the 3rd Generation, the Nest Thermostat includes a new feature called Farsight that lights up when you walk into your office or home and displays the temperature and time – and it’s even bright enough to see it from the across the room. The Nest also saves energy by automatically turning itself down when you’re away. 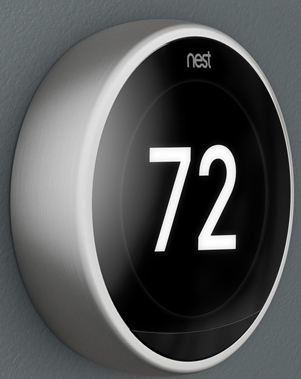 You can purchase the Nest Learning Thermostat at nest.com for $249. The Belkin WeMo Insight Switch allows users to monitor energy usage and control electronics from anywhere in your office. You can turn devices on or off, register schedules and set alerts to tell you when your shared printer has finished its project. 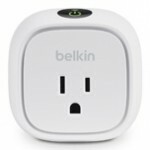 Currently selling at $70, these switches work with both Android tablets and other smartphones and are compatible with Amazon Echo for voice-control hands-free. With VoIP telephony systems such as Telzio, SMBs can trade in their landlines for phone service via the Internet. Since VoIP phone calls are made and received online versus an analog landline, switching to VoIP allows you and your staff to access more features at a lower cost. 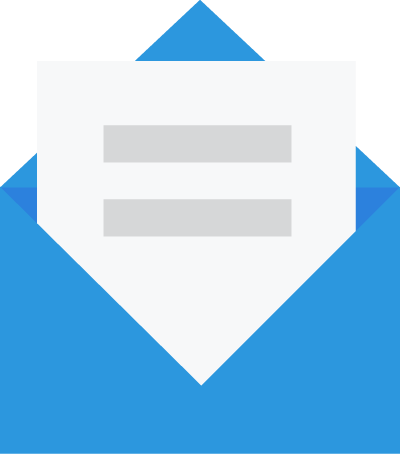 This includes an auto attendant, call routing, voicemail, fax-to-email and much more. Voice over Internet Protocol telephony has several advantages over POT [plain old telephone], starting with cost savings. On average, a business phone service rental runs around $35-45 per line per month, plus additional charges for long-distance calls dependent upon on one’s telecom service. On the other hand, using a VoIP service like Telzio, a business can take advantage of the advanced professional features mentioned here for 50 to 70 percent lower cost on average compared to other VoIP providers. Plus small businesses don’t have to be concerned with scheduling appointments for installation, since their set-ups are intuitively easy, and require no hardware or long-term contracts. 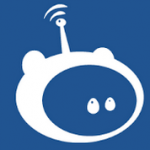 Accessories for VoIP users are very smart as well. When questioning Detlev Artelt, CEO of aixvox, a German based communications consulting firm today as to what he recommends in this regard, he suggested the Plantronics Voyager Legend Headset. 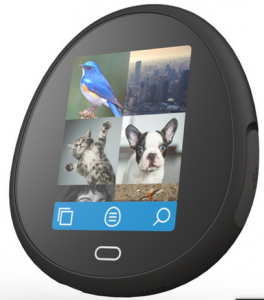 Artelt noted that their “smart sensor technology engages immediately when you put the headset on, letting you quickly take a call without a click.” If you’re already wearing it, the unit announces who’s calling and waits for you to say “Answer” or “Ignore.” You can also interact with Siri, Google Now, or Cortana by pressing the call button. 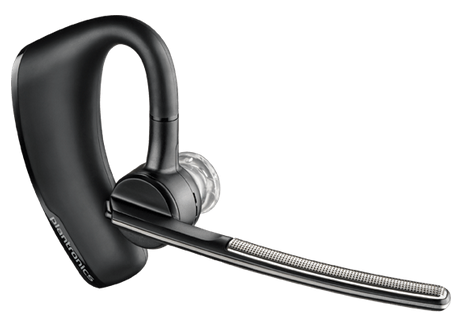 With technology this nimble, Voyager Legend is the first truly intelligent (any yes, smart) Bluetooth® headset — priced reasonably at $99.99. Amy Vernon, named the 15th most influential woman in tech on Twitter by Business Insider published a round-up story featuring devices introduced most recently at this year’s Consumer Electronics Show in Las Vegas. The one that caught my eye was the Egg, which if you had to imagine – it looks just like its name. “When traveling somewhere for work, we have a lot of photos we need to take to post on Instagram and Facebook so everyone knows we’re on the move. Couple that with our voluminous music collections and suddenly our smartphones aren’t so smart and are bogged down and don’t have any free space anymore,” notes Vernon. Answer: “Download all that stuff to the Egg, which is basically your own personal cloud,” adds Vernon. Ranging from $199 for the 64GB version to $399 for 256GB, it’s definitely a smart item to squeeze into this year’s budget. If you can imagine sharing your printer with anyone you choose, as easily as you might share a Google Docs document, you will begin to understand the benefits of Google Cloud Print. Google Cloud Print is a new technology that connects your printers to the web. Using this free app, you can make your home and work printers available to you and anyone you choose, from the applications you use every day. Google Cloud Print works on your Android phone, tablet, Chromebook, PC, and any other web-connected device you choose to print from. The free apps can be downloaded here. Smart is, as Smart does . . . Many of these innovative devices and software require a bit of a learning curve, but like so many other advancements in today’s world, they are designed to be intuitive and often include similar operational procedures you may have learned a long the way. As a long-term philosophy, including going smart in your business plan is wise, because it can materialize short-term gains. As an SMB operator, if bringing more of your hard-earned dollars to the bottom line is one of your goals, the ‘smart solutions’ outlined above will help you start saving money at the get-go. And since the space between leisure and work keeps on blurring, we’re sure you’ll be getting even more bang for your buck when you utilize these items in your personal lives as well.